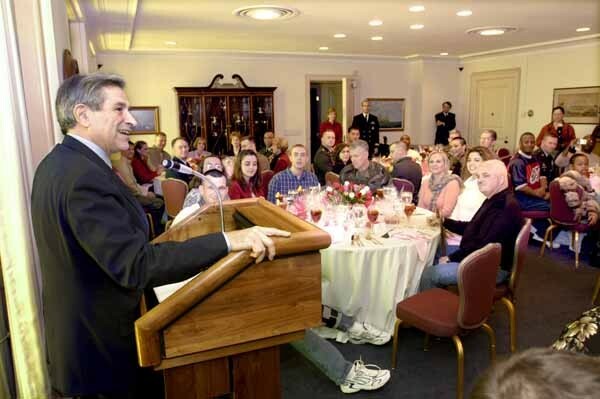 Israel Firster and Iraq War architect Paul Wolfowitz addresses soldiers wounded fighting in Iraq. Jews have always policed their own—a basic element of any successful group and a central idea behind the cultural group selection model of Judaism. A good example is the drama playing out now on the attempt to police Jews who are critical of Israel’s desire for a war with Iran. Media Matters, the leftist news organization whose main goal has been to attack Fox News, has hired MJ Rosenberg, the former AIPAC operative who is now a prominent critic of Israel, to beef up its foreign policy coverage. Rosenberg commits the sin of using the phrase “Israel Firster” to refer to people like Alan Dershowitz and the Israel Lobby generally. (Rosenberg did not invent this label. As discussed here, the phrase had been used long before by Wilmot Robertson, David Duke, and the Vanguard News Network.) As Rosenberg has noted, saying that AIPAC has dual loyalty is giving them credit for one more loyalty than they actually have. In fact, that interest group, AIPAC, actually got Congress to pass a bill, which President Obama signed, that bans any diplomacy with Iran without express approval of four Congressional committees in advance — as if AIPAC will ever let that happen. (2) presents a threat to the United States or is affiliated with terrorist organizations. (d) WAIVER.-The President may waive the requirements of subsection (c) if the President determines and so reports to the appropriate congressional committees 15 days prior to the exercise of waiver authority that failure to exercise such waiver authority would pose an unusual and extraordinary threat to the vital national security interests of the United States. Frankly, this makes me sick. Banning diplomacy almost guarantees war with Iran, a war that must not be fought. I oppose war with Iran unless Iran attacks the United States directly. Period. I do not want America to be dragged into a war that Netanyahu provokes and which the United States would then be dragged into. I favor diplomacy, unconditional diplomacy, with all issues on the table. Rosenberg includes a passage that should evoke righteous anger in every American. Despite the decisive role of the Israel Lobby in initiating the Iraq war, the vast majority of the people he is describing are White Americans, and I rather doubt that even one of them is a Jew. 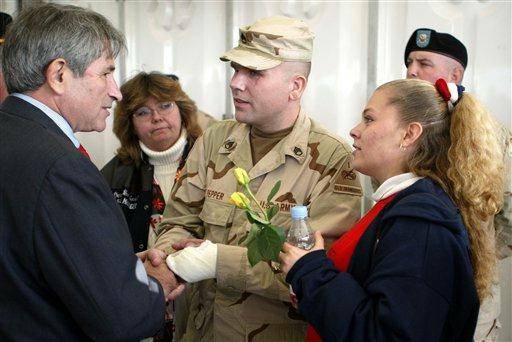 I oppose war because we lost 4,400 men and women in Iraq, a war built on lies and false premises, conveyed by many of the self-same people promoting war with Iran. I don’t think we should lose even one solider in a war against a country that does not directly threaten the American people. A few months ago, on a beautiful Saturday, I was walking on the grounds of the Walter Reed Army Hospital here in Washington. (A friend got me in.) There were dozens of young guys being pushed around in wheel chairs by parents, wives, girlfriends, buddies, etc. They looked like injured members of the high school football team, except that so many were missing limbs. So obviously, the Lobby is intensely motivated to squelch MJ Rosenberg. And who better to do it than Alan Dershowitz, since he is well known to be on the left and therefore shares many of the same contacts as the Media Matters crowd. In an interview with neocon Alan Klein on WABC (see here), Dershowitz declares war on Rosenberg and Media Matters. The interview is interesting for several reasons. Dershowitz is what Philip Weiss calls a PEP—Progressive Except for Palestine. I would simply call him a hypocrit—TOO now has 31 articles on the gulf between the leftist bent of Diaspora Jews and what’s going on in Israel. Dershowitz identifies himself as on the left but notes that it is important to keep the left safe for Israel. He’s an exemplar of the many liberal Jews who claim to be critical of some Israeli policies, like the settlements, yet fail to mount any serious pressure to change Israeli policy. Yes, American Jews can and do influence Israeli policy. But all of their energy is spent pursuing the leftist multicultural madness in the US, while turning a blind eye and implicitly supporting racialist apartheid Israel. Dershowitz: “We can’t let people think that there is any inherent lack of progressiveness in Israel.” Good luck trying to persuade any reasonably sane non-Jewish progressive with that. And in this case, the listener can be forgiven for coming away with the impression that Rosenberg’s opposition to a war with Iran marks him as a bigot and an anti-Semite. Indeed, Dershowitz claims that while he is an 80% supporter of Israel, Rosenberg is 100% opposed to Israel. Opposition to a war with Iran equals opposition to Israel. Dershowitz congratulates the Center for American Progress for clamping down on staffers using the phrase “Israel Firster”. But Media Matters has stuck by its guns, so an all-out assault is warranted. Like the rest of the left, Media Matters is funded by Jews, and Dershowitz wonders if these Jews are aware of where their money is going. Klein points out that there are very close associations between the White House and Media Matters, including weekly conferences with Obama administration staffers. There are funding connections as well. Klein points out that Penny Pritzker is a major donor and fundraiser for Obama and also contributes to Media Matters, and Dershowitz mentions Barbra Streisand and George Soros as major supporters of both. Not that we at TOO are sad to see the pressure on Media Matters. They also play the game of drawing boundaries of acceptable discourse and have been in the forefront of the campaign to marginalize Pat Buchanan. (In the interview with Klein, Dershowitz calls Buchanan a “virulent anti-Semite” and claims that Buchanan is anti-Israel despite the fact that supporting Israel should fit Buchanan’s nationalist political bent. This is a ridiculous argument—that supporting one’s own nationalism means supporting Jewish nationalism even when Jewish nationalism has interests that are obviously incompatible with American national interests. I’ve dealt with it here; see also here). Buchanan specifically mentions Media Matters as one of his main enemies in his column on his firing from MSNBC, much to the glee of Media Matters. Media Matters also led the campaign against CNN for having quoted Peter Brimelow and TOO’s James Edwards. From their point of view, any discussion of whether White displacement is good for America much less good for Whites must be pathologized. And any comments that legitimize White identification and White interests must be completely obliterated from the mainstream media. So they are now the focus of the same forces that would shut down intelligent debate on issues of concern to all Americans. It’s evil versus evil, but it will be fun to watch as the Jewish community frantically tries to get all its forces on page for the war with Iran. Defectors can expect a very tough road indeed.